Ladybugging about? Not a problem with us. In fact, we have to say that we highly encourage it. In a big-time, ladybug way! That's right, there's plenty of ways to get little boys and girls involved as the coolest and most appealing insect of them all. The famed ladybug. You could have a ladybug tea party, or even get some of the coolest ladybug toys. But our favorite way? (Hint, hint. You are talking to costume people here, after all.) Naturally, we're going to recommend to you this fantastic ladybug costume for toddlers! She might not be ready to crawl around the garden or do other ladybug stuff, but when it comes to Halloween fun or the big dress up day at preschool, she's going to be super sweet, and phenomenally awesome with ladybug spots on. So. There's only one thing to do. Get her this costume and let's have some fun! 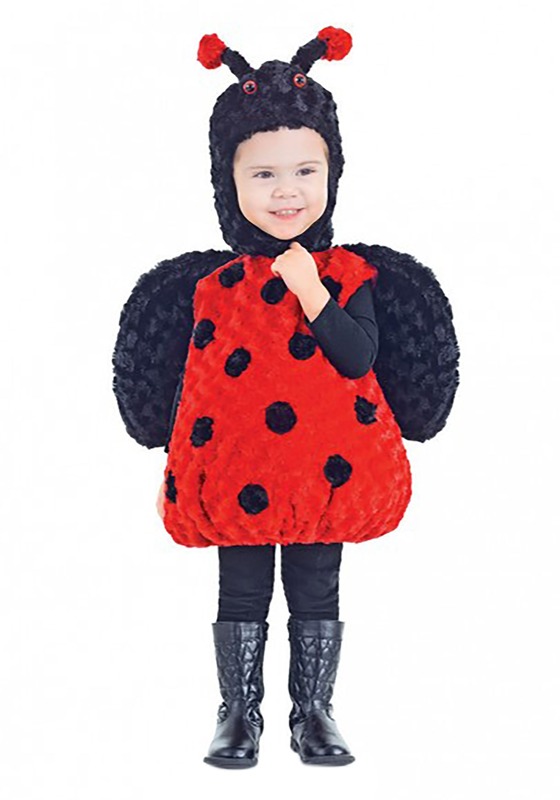 This fun ladybug costume comes styled as a furry tunic. The body is red with back spots, and the hood features ladybug details like eyes and antennae. Soft polyester faux fur gives it a comfy feel and fun appearance, which makes it the perfect selection for any costume situation. In sizes for 18/24 months, toddler, and size 4/6, we have sizes to fit most young children! There's lots of fun and magic to be had when it comes to our infants and toddlers, but we think there's not much that's more fun than putting some spots and light faux fur on to let them have a little buggy fun. Suit your little one up with this costume, and you'll have one insect to really be proud of!